Tortilla Pizza for One | "Il faut goûter"
Listen. I realize what I’m about to post isn’t a particularly fancy dish. But it also occurs to me that you, whoever you are, reader, might not have the time or desire to cook even the mildly complicated and time-consuming dishes I usually blog about. I’ve made this type of thing for years, but it occurs to me that maybe you don’t do this. And maybe you’d like to. And maybe you, like me, almost always have tortillas around. Put some tomato paste in a bowl (for one tortilla pizza, I used about 1 ½ tablespoons tomato paste). Add enough warm water to thin the tomato paste to a sauce consistency (tomato paste and water in a 1:1 ratio works nicely). Stir in some minced garlic and Italian herbs (like Basil, Oregano, and Marjoram, or a mixture like Herbes de Provence). Add a bit of coarse ground black pepper and salt to taste (but remember your toppings are usually salty). Add a bit of cayenne if you like it spicy. Stir it all together and use it immediately, or refrigerate it a couple of hours so the flavors can marry. 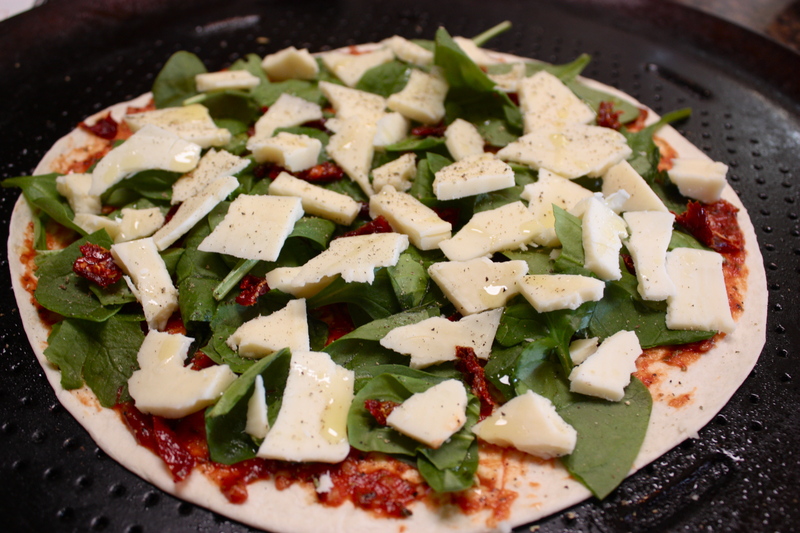 So, try making a pizza on a tortilla. Bake it on a pizza/cookie sheet with holes (AirBake) for a nice crisp crust. And you know, a few of these sliced up could be an easy tasty appetizer for a party! And you know what else? I think I’m going to serve these to my family for dinner soon, with a salad. Who doesn’t love a personal pizza? 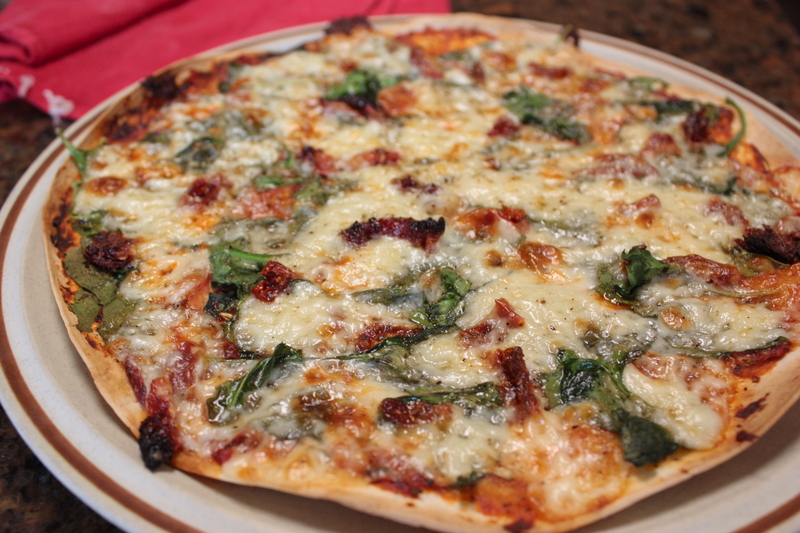 This entry was posted in Savory and tagged Cooking, food, quick easy pizza sauce, quick pizza, recipe, tortilla pizza by needtotaste. Bookmark the permalink. Wow, this reminds me of the English muffin pizzas that were, like, my favorite thing to eat as a kid! Love I’m-eating-at-home-alone-and-can-do-what-I-want food. Yes, eat that–it’s too easy! I believe you just go to my home page and enter your email address in the box below the “follow my blog” blurb…let me know if it’s not working correctly(?). Thanks for the help–I think it’s working now (the email tab wasn’t showing on my computer when I’d looked there before), so I should be able to get notifications. Yay!